Triumph will be launching the Bonneville Bobber in India on March 29, 2017. 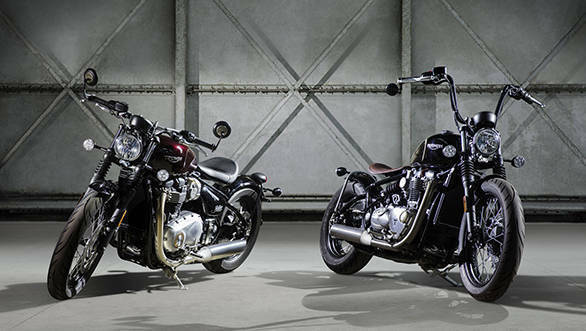 The Bobber will be the fifth motorcycle of the Triumph Bonneville Range in India and possibly the most exotic-looking. It will be powered by the same 1200cc, liquid cooled, parallel twin engine as the Bonneville T120. The power and torque figures on this motorcycle is tuned to be lower down in the rev range, with the 77PS power output coming in at 6,100rpm and 106Nm torque output at 4,000rpm. We rode the Bonneville Bobber in December, 2016 and came away impressed, not just by the performance but also by the looks of the motorcycle. 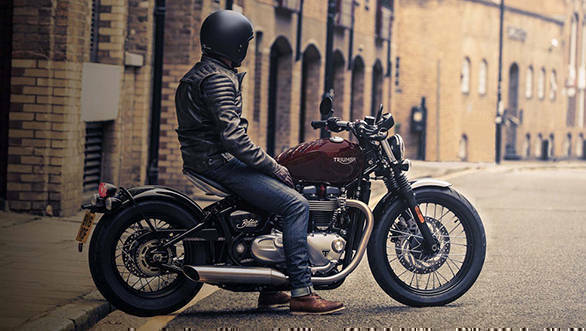 Though Triumph is a British brand and the Bonneville range has the looks of the classic British motorcycles from the 60's, the inspiration for the Bobber's design seems to be from the 40's Bobbers of America. The chassis and suspension had to be redesigned to carry out the Bobber look with the monoshock rear suspension positioned under the seat for that retro hard-tail design. 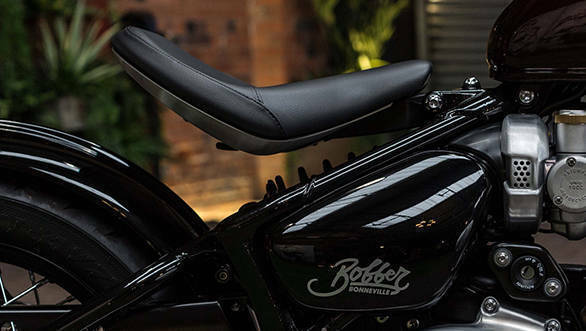 The Bobber will be available only as a single-seater and the seat will be adjustable for two positions  high and forward for more spirited riding or low and back, for a relaxed cruise. A flat handlebar with bar-end mirrors, and a shorter slash-cut exhaust complete the Bobber's design. The Bonneville Bobber will be seen as a personalised motorcycle and Triumph will be offering a host of accessories as customisation options. With features like ride-by-wire with different modes, traction control, ABS and torque-assist clutch, the Bonneville Bobber is a retro-looking modern motorcycle. The motorcycle is expected to be priced at around Rs 12 lakh, ex-showroom, Delhi.